Nobody plans to get injured in an accident, but unfortunately, accidents do happen. Certain accidents, such as car crashes, slip and fall incidences, construction accidents, and medical malpractice accidents often result in severe and life-altering injuries. They also result in substantial medical expenses, lost wages, and other financial harms. Ideally, the negligent party’s insurance company should cover the cost of damages, but typically, the outcome of an insurance claim is often far from ideal. It is not uncommon for insurance companies to offer low ball settlements or to deny legitimate claims altogether. If this happens to you, do not despair – with the right legal representation, you can recover compensation for the harms done to you and move forward with your life. That said, legal fees can quickly add up. If you are like most people, you did not plan financially to cover impending legal fees. However, you need to pay your attorney for his or her time and services. What are your options if you do not have the funds up front? Should you go without legal representation, take out loan, or go further into debt? Our attorneys at Spencer Morgan Law often help clients manage their finances throughout the duration of their cases. Below we explore a few options that have worked well in the past. When it comes to paying for legal fees, a personal loan may be the best course of action. You can find personal loans at many different financial institutions. If you are a member of a credit union, you might find their rates and terms more favorable than other lenders. If you do not belong to a credit union, you may still find decent rates and terms at other credit unions. You may have considered credit cards and personal lines of credit. Credit cards can be dangerous, as interest rates tend to exceed those of other loan options. Also, you would have to have the available credit. You should be careful about using credit cards to cover unexpected expenses, as doing so could lead to a vicious debt cycle. Many lawyers will offer to work for a contingency fee. This will usually be about 30% of any monetary awards you receive in court. You would not have to pay any fees up front. 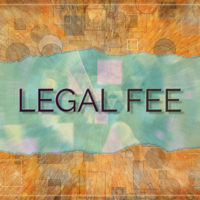 In some cases, the court may order the defendant to pay the plaintiff’s legal fees. A contingency fee arrangement would be the most favorable option for you. You should check to make sure your lawyer will work your case for a contingency fee. At the office of Spencer Morgan Law, we do not charge clients if they do not recover any damages. That is part of our dedication to serving you the best we can. Your lawyer has an ethical obligation to counsel you thoughtfully and carefully. He or she should be careful about advising you on how to best finance your legal fees. Ultimately the decision is up to you. The lawyers at the office of Spencer Morgan Law are here to uphold the highest ethical code. We can help you figure out the best course of legal action. If you are worried about paying for all the legal fees, speak with one of our team members. We can discuss your situation and figure out how you can proceed. We believe in offering the best legal representation to those who need it. Call us today to get your free consultation. Find out if we will take your case for a contingency fee.